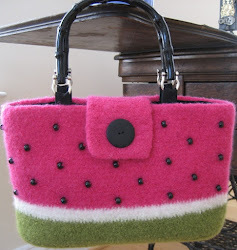 Gege Crochet: Winter Watermelons part deux- free pattern! Alright peeps! My long awaited Winter Watermelon scarf pattern is here! I finally sat down and wrote out the pattern. My very first! If you do make this pattern, please let me know if there are any mistakes in it so I can correct it. Also, please send me pics of your finished projects! I'd love to see them! I completed a new hat, as well, but I still need to tweak that pattern before I list it here...so, more to come... AND....drum roll please! I have a video to supplement the pattern! It's for folks who don't know how to crochet through front/back loops only or who have never crocheted with beads before. YAY! PS: The Hat Pattern can be found here. Chain 2 does not count as half double crochet. Row 1: 1 hdc in 3rd chain from hook. 1 hdc in each chain to end of ch. 185 hdc. Chain 2. Turn. Row 2: 1 hdc in 1st hdc. 1 hdc in next hdc through back loop only. *1 hdc in next hdc through front loop only. 1 hdc in next hdc through back loop only. Repeat from * to last hdc. 1 hdc in last hdc. Fasten off green. Turn. Row 3: Attach white. Chain 2. 1 hdc in 1st hdc. 1 hdc in next hdc through back loop only. *1 hdc in next hdc through front loop only. 1 hdc in next hdc through back loop only. Repeat from * to last hdc. 1 hdc in last hdc. Fasten off white. Turn. Thread 60 beads onto red yarn before continuing. Row 4: Attach red. Chain 2. 1 hdc in 1st hdc. 1 hdc in next hdc through back loop only. *1 hdc in next hdc through front loop only. 1 hdc in next hdc through back loop only. Repeat from * to last hdc. 1 hdc in last hdc. Chain 2. Turn. Row 5: First beaded row. 1 hdc in 1st hdc. *(1 hdc in next hdc through back loop only. 1 hdc in next hdc through front loop only.) 4 times. 1 bhdc in next hdc through back loop only. 1 hdc in next hdc through front loop only. Repeat from * to last hdc. 1 hdc in last hdc. Turn. Row 7: Second beaded row. 1 hdc in 1st hdc. 1 hdc in next hdc through back loop only. 1 hdc in next hdc through front loop only. 1 hdc in next hdc through back loop only. 1 bhdc through front loop only. 1 hdc in next hdc through back loop only. *(1 hdc in next hdc through front loop only. 1 hdc in next hdc through back loop only.) 4 times. 1 bhdc in next hdc through front loop only. 1 hdc in next hdc through back loop only. Repeat from * to last hdc. 1 hdc in last hdc. Turn. What a very nice gift to us all, I can't wait to try this. My first time crocheting with beads. Big Thanks!! What an adorable pattern! I can't wait to make this for my niece and goddaughter! I think this is cute and unique. Can't wait to make it.I love watermelon. that is so cute! How is the hat made? it was such a great pattern and its super cute! i wanna thank you for the pattern!! and i made one for my sister for Christmas =) one again thank you! Really cute...except, can you show how to put the hat together b/c of the different color levels, don't think it'll look "seamless" if I used just one color to stitch or sew together. I am so glad I found this site. I love your tutorials. 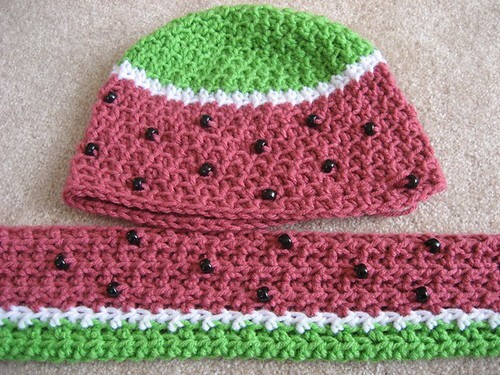 I plan on making the watermelon hat and scarf. Can't wait for the hat instructions. I just viewed your video about your watermelon hat and scarf. I've never saw something like this done before. I've been crocheting since the age of 8 yrs,old. My grandmother started me doing it when I kept on bothering her. I've enjoyed all my projects, but now I'm looking to graduate to more difficult projects. I'd like to continue to blog with you again really soon. I forgot to let you know, you so graciously had given me that pattern for the hat, I think it was before you even had it posted. 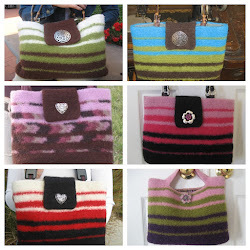 I made quite a few of them in different shades of greens, reds, and pinks. They were a BIG hit with the Cancer patients that received them! The group I belong to "The Hat Ladies of Corona" donate to quite a few cancer patient treatment centers and I like to make hats that are a little out of the ordinary. I LOVED your watermelon hat when I saw it on your blog,and like I said, it was a big hat. I will certainly be making more come spring time!! I DID give credit to you, and I gave your web site to some of the ladies in my group. First of all, thank you for sharing the patterns, being a beginner I really appreciate the videos. I made a couple of scarfs using this pattern (not "watermelon-ish, just plain), and I love them. It gives it a very nice texture. 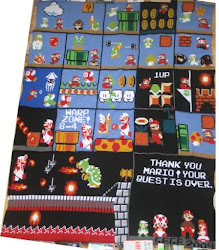 A have a couple of questions, you might have answered this somewhere else before, I apologize if you have.I was wondering how long the scarf should be for a 3-4-yo and if you have the hat pattern for a kid the same age?